Family Service of the Piedmont is a non-profit behavioral healthcare center. They offer rehabilitation to substance abuse victims and dual diagnosis support to those suffering from co-occurring mental disorders alongside addiction. The facility was founded in 1999 and has been in service for almost 20 years. 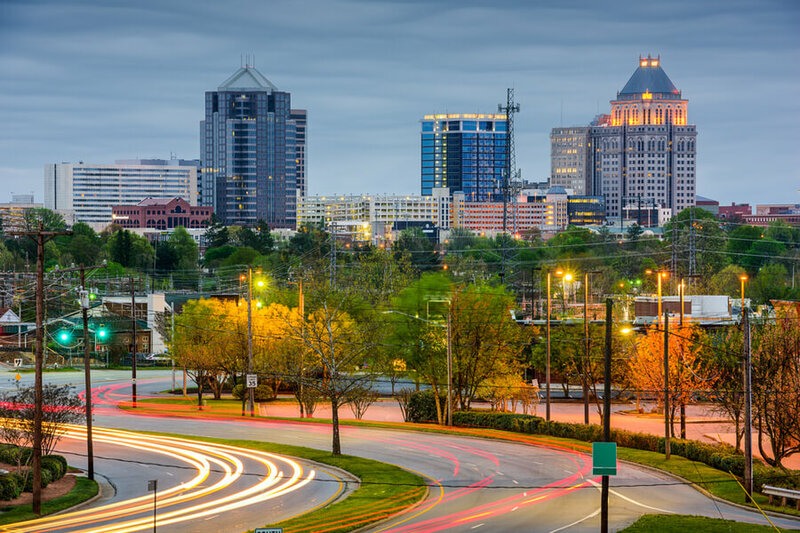 Situated in Greensboro, North Carolina, this facility provides outpatient services to clients residing in Greensboro and High Point. Treatment commences with a comprehensive initial assessment that allows the team to draw up individual treatment plans. Their treatment programs are highly specialized and devised with special care to ensure that every incoming client’s specific issues and needs are addressed. Family Service of the Piedmont is an outpatient treatment center. Consequently, it does not offer accommodation facilities to its clients nor does it offer food services. The Family Service organization offers their outpatient services in a removed and calm campus located away from the bustle of the city. The setting and ambiance of outpatient facilities do not tend to affect a patient’s recovery process as much as that of an inpatient center. Yet FSP still tries to provide clients with a welcoming and peaceful environment for the hours that they spent in therapy at the FSP campus. This ensures that clients are able to better process the lectures and therapies they undergo which further helps them recalibrate their thought process. As a non-profit behavioral healthcare provider, Family Service of the Piedmont offers cheap rehabilitation and mental health treatment without compromising on quality. Their services are especially advantageous for people unlikely to be able to afford therapy at regular costs. Family Service of the Piedmont is a non-profit organization that has been providing a variety of services geared towards family welfare for over 76 years. These range from preventing child abuse and ensuring healthy parenting to preventing domestic violence and sexual assault through awareness drives. The substance abuse and co-occurring disorder treatment programs are divided into intensive and non-intensive courses. These programs usually last for a duration of around 12 weeks. The intensive courses usually have clients referred through court orders and other clients suffering from severe chemical dependencies. These programs require each client to attend 2 group and 1 individual counseling sessions every week. The less intensive programs, on the other hand, are for those with less severe issues and require clients to attend a group session or an individual therapy session every week. Furthermore, an aftercare program is also made available to those who fear the possibility of relapse. Tom Campbell has been associated with Family Service for over 22 years. He joined the team as a clinical intern in 1996. Currently, he also serves on the board of several organization all of which focus on empowering and educating children and families. He has a Bachelor’s degree in Industrial Engineering from North Carolina State University and a Masters in Community Counseling from the University of North Carolina, Greensboro. Chip Turner has over 25 years of experience in the financial sector and joined the team at FSP in 2003. As Chief Financial Officer, he is in charge of providing oversight of all financial operations at the facility and managing the economic viability of the programs at the facility. He has a Bachelor of Science in Business Administration specializing in Accounting and Finance from the James Madison University, Harrisonburg, Virginia. Theresa Johnson has over 27 years of experience in the field of social work and behavioral healthcare. She holds several certifications as a Licensed Clinical Social Worker and a Licensed Clinical Addiction Specialist. As the Director of Counseling services, she provides insight into the planning and implementation of the various treatment programs at the facility.